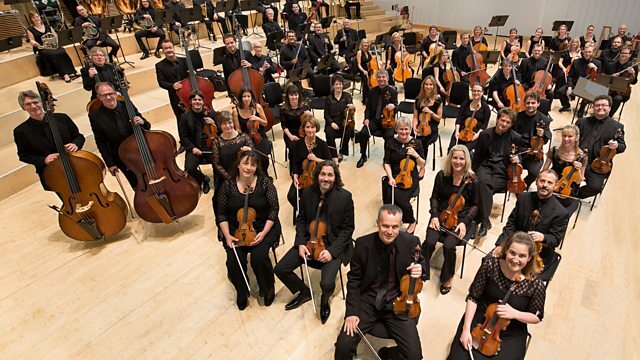 Radio 3 in Concert: Ilan Volkov and the BBC Scottish Symphony Orchestra play music by Frank Zappa; a concerto by Julian Anderson with pianist Steven Osborne; and 4 Ives Holidays. Anarchic, psychedelic, ecstatic: The BBC Scottish Symphony Orchestra and Ilan Volkov perform a concert of eccentric musical imaginations. The concert begins with orchestral music by Frank Zappa: the maverick experimenter. His uncharacterisable work The Perfect Stranger -commissioned by Pierre Boulez-gives us an insight into his unique brain. This is followed by Julian Anderson's piano concerto 'The Imaginary Museum' - a concerto inspired, in part, by the improvisatory imagination of its dedicatee and tonight's solo performer, Steven Osborne. And the concert concludes with a sequence of 4 symphonic works by that pioneer of American music, Charles Ives. A composer for whom nothing could stand in the way of his sonic and philosophical imagination. Ensemble: The Carla Bley Band. Performer: Lucy Shelton. Ensemble: Schoenberg Ensemble. Singer: Emma Kirkby. Orchestra: Academy of Ancient Music. Director: Christopher Hogwood.